Asia Hughes at the Michigan Youth of the Year competition. Photo courtesy of the Boys & Girls Club of the Muskegon Lakeshore. Asia Hughes is making history. 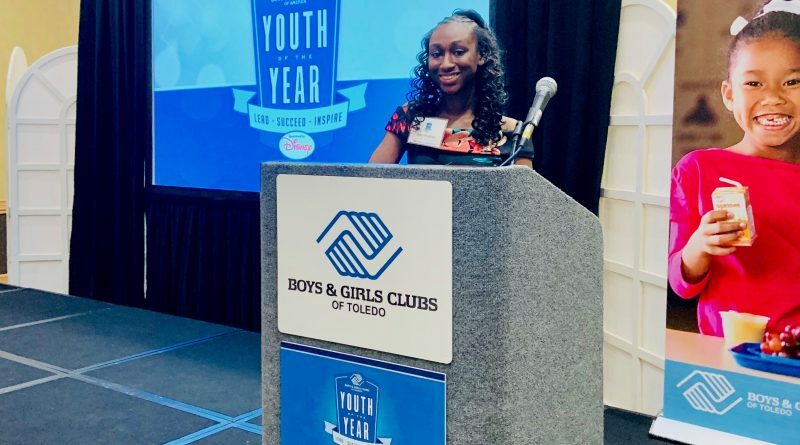 Hughes, a 16-year-old student at Muskegon High School, was named the first runner-up at the Boys & Girls Clubs’ Michigan Youth of the Year competition this past Saturday, April 6. 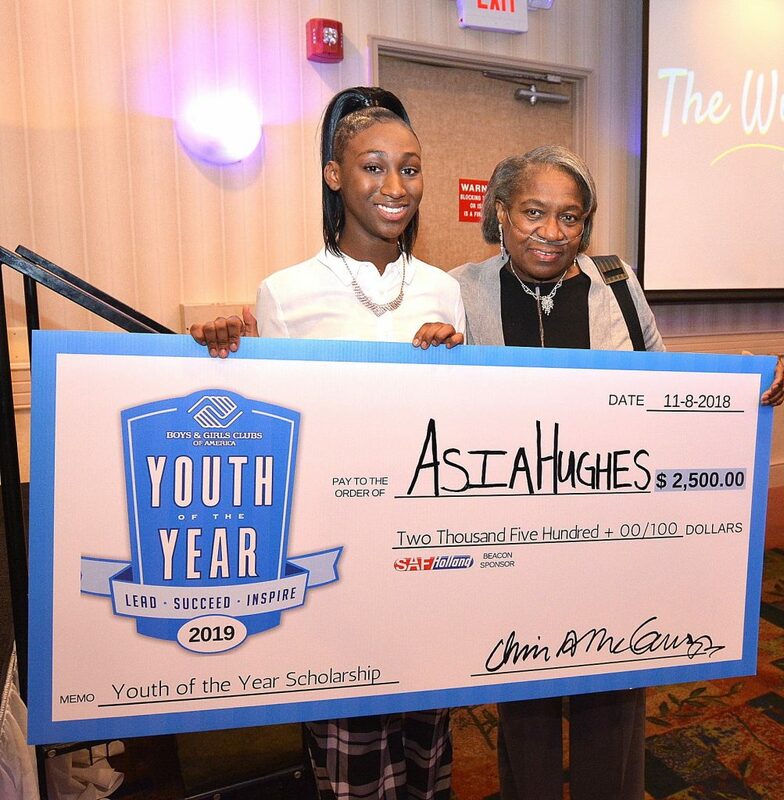 In addition to landing her a $2,000 scholarship, Hughes’ victory is the first time a Boys & Girls Club of the Muskegon Lakeshore (BGCML) Youth of the Year has finished as a first runner-up in the statewide competition. A member of the BGCML since it opened in 2015, Hughes was honored as a Muskegon Youth of the Year this past November. The Muskegon High School junior participated in the Michigan Youth of the Year Competition in Perrysburg, Ohio with 10 other students from Boys & Girls Clubs. Iyanla Kelso, a 17-year-old member of the Boys & Girls Club of Greater Flint, won the Michigan Youth of the Year award. Hughes’ participation in the competition required her to memorize a three-minute speech about her experience as a Boys & Girls Club member, her personal brand, and her vision for youth in America. As part of her vision for youth in the United States, Hughes said she’d like to see younger residents further connect with the Boys & Girls Club, a national nonprofit that provides a wide range of activities and support for children, teenagers and young adults. In Muskegon, the Boys & Girls Club offers everything from an after-school drama education program and a financial responsibility club to fitness classes and adventure sports—such as kayaking, paddle boarding, kite surfing, and more. Asia Hughes, left, and her grandmother, Loretta Gibbs during the Boys & Girls Club of the Muskegon Lakeshore’s Youth of the Year event this past November. Hughes, along with Elroy Webb, a sophomore at Muskegon Heights Public Academy, and Michael Harmon, a sophomore at Muskegon High School, were the top three finalists for the BGCML’s Youth of the Year competition, a national contest that provides winning students a series of financial awards for advanced studies and, ultimately, lands one teenager a $100,000 college scholarship. Hughes received a $2,500 scholarship as part of the Muskegon competition. 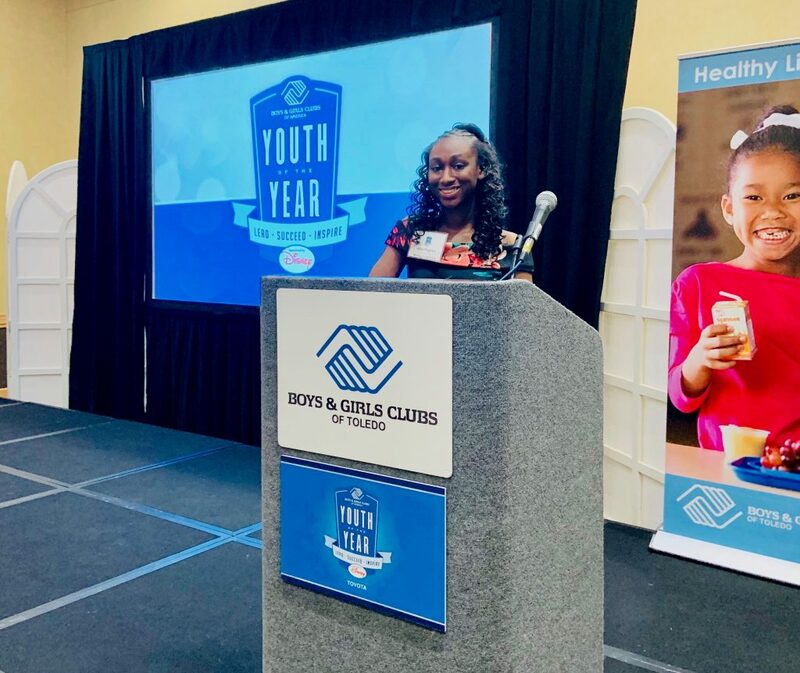 During the speech Hughes gave at the BGCML Youth of the Year event, held Nov. 8 at the Holiday Inn in downtown Muskegon, she advocated for foster care reform. “I was a victim of physical abuse and neglect; my foster mother starved me and beat me,” Hughes said in a previous interview of her time spent in the foster care system when she was two years old. Ultimately, Hughes was adopted by her grandmother, Loretta Griggs, and the horrific experiences she faced as a child have inspired her to fight for change in a troubled foster care system.